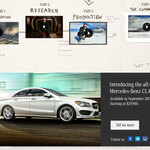 Director Casey Neistat creates videos for Mercedes-Benz youtube page. To celebrate the release of their new CLA-Class sports coupe, Mercedes-Benz hired Casey Neistat to create a commercial, and to also created a 4 part featurette documenting the making of the commercial. 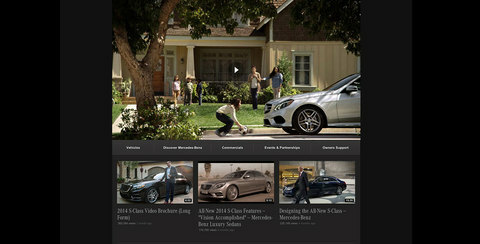 A Mercedes-Benz custom youtube page was created for the marketing campaign. Alien Communication was the development agency working with Razorfish and Mercedes-Benz. 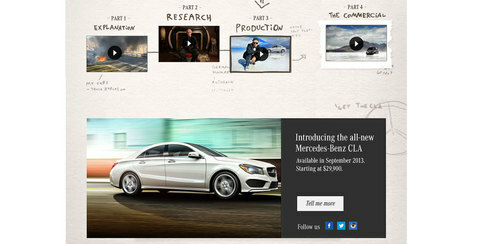 The custom page featured the 4 featurettes and the final CLA-Class commercial. 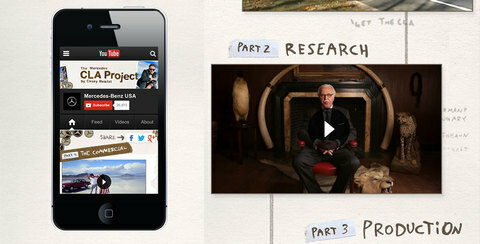 Responsive design techniques were used to make the youtube page accessible across all devices, mobile, tablet and desktop. The development integrated closely with Youtube and Google analytics tracking in order to measure user engagement.